On the fourth day of the Reeperbahn Festival, experts, business newbees, artists and fans will mingle again. At Training Day there will be over 30 events with an XXL knowledge dose on the subject of the music business. Great speakers share their knowledge, including: Noah Pred, Canadian techno and house producer, DJ who runs his own label Thoughtless Music, Jane Arnison, producer, engineer, composer and also happens to be one half of the dark wave duo Evvol, Dirk Darmstädter, Musician / Co-Founder, Tapete Records and Vanessa Crutaro, Booker, Buback Tonträger. 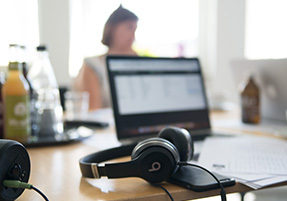 What Does A Music Publisher Actually Do? How Does Good Networking Work? All holders of a festival wristband have access to the sessions of Training Day. IMJA Shortlists Available - Save The Date! The International Music Journalism Award 2018 shortlists are online! Our sincere recommendation: look through the shortlists and click through the links. You’ll find the crème de la crème of music journalism produced over the past twelve months. Really great contributions – truly worth a read, listen, and look – from really great contributors including Sylvia Prahl, Liz Pelly, Valerie Lehoux, Jason Bentley, and Estell Caswell. We’ll be presenting the awards on Friday afternoon, 21 September, at Schmidtchen (Klubhaus St. Pauli) during Reeperbahn Festival. Save the date! 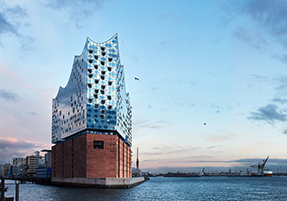 Staff members of the Elbphilharmonie will give four tours of the iconic concert hall, which opened in early 2017. Each tour will provide information on a particular aspect of the venue. The number of participants is limited to 20 per tour. Registration is required on a first come first served basis. The following tours are offered: Production 1, Technics, Development, and Production 2. 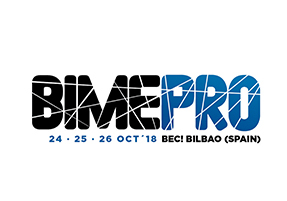 BIME (24 – 27 October 2018, Bilbao/ Spain) is the annual European get together for music, tech and new ideas; and it is focused on two core goals: to explore new ideas in order to discover and capitalize on new revenue opportunities, and to be the primary meeting place for the Latin American music industry in Europe. It hosted over 2.000 professionals in its fifth year, hailing from 23 countries. Get your BIME Pro delegate pass now. 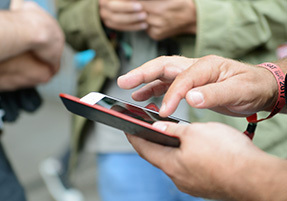 Reeperbahn Festival Mobile App - Design Your Schedule! Your own pocket-sized Reeperbahn Festival is available now – our mobile app provides you with all the information you need before and during the festival! Download the app, have a listen to your festival favourites, browse through the conference programme, take advantage of the included delegates database, and create your own personal Reeperbahn Festival schedule! The Reeperbahn Festival Merchandise Collection 2018 is here! Stylish shirts and maritime harbor beanies, smart design produced and printed in cooperation with Cleptomanicx in Europe. And of course our tote bag is back. Made once again with great care and devotion by the screen-printing pros at Frohstoff textile manufacturing company in Hamburg. Available during Reeperbahn Festival from 19 – 22 Sept. at the Info Desks at Festival Village & Spielbudenplatz and at our online shop.